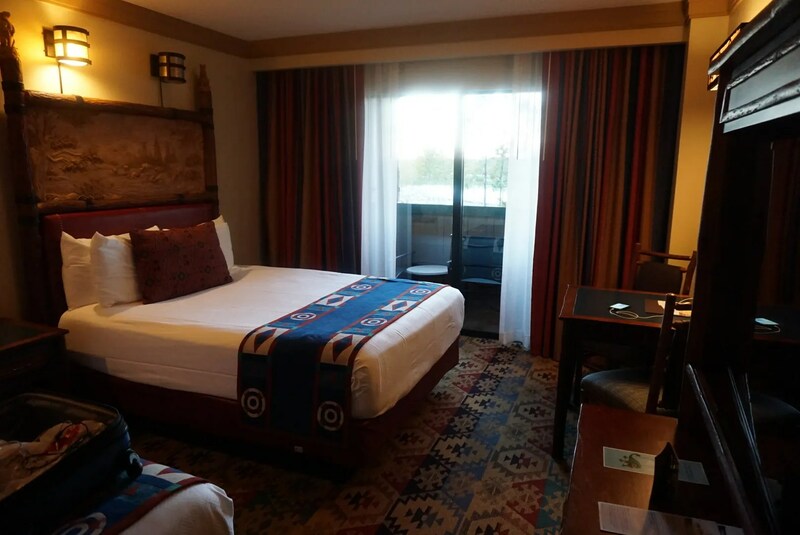 The only difference was that in Room #6048 the beds were on the right side of the room. 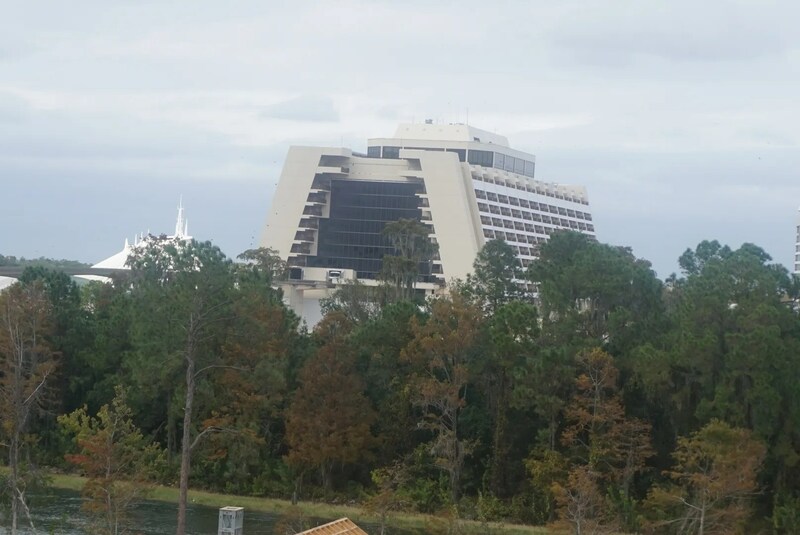 Additionally, the view from the balcony was nearly identical since this room was located almost exactly two floors up from my November room. 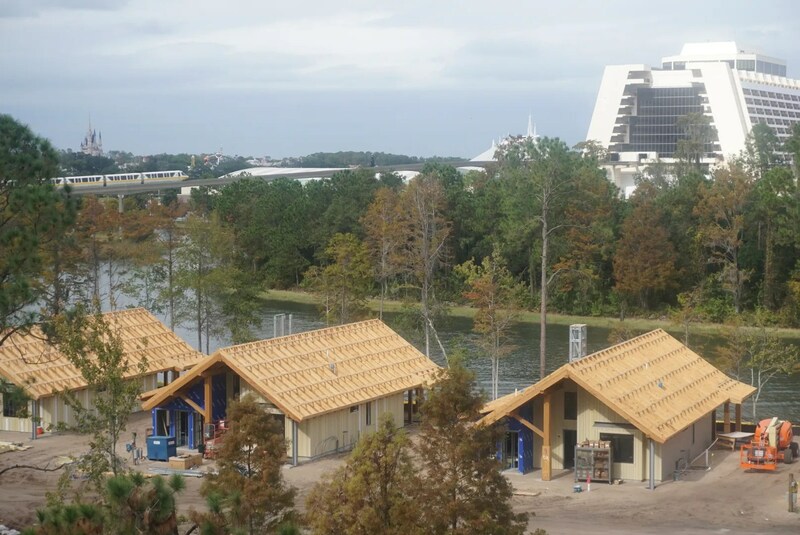 It looked like that had made some progress with the cabins since I was here 5 weeks earlier. 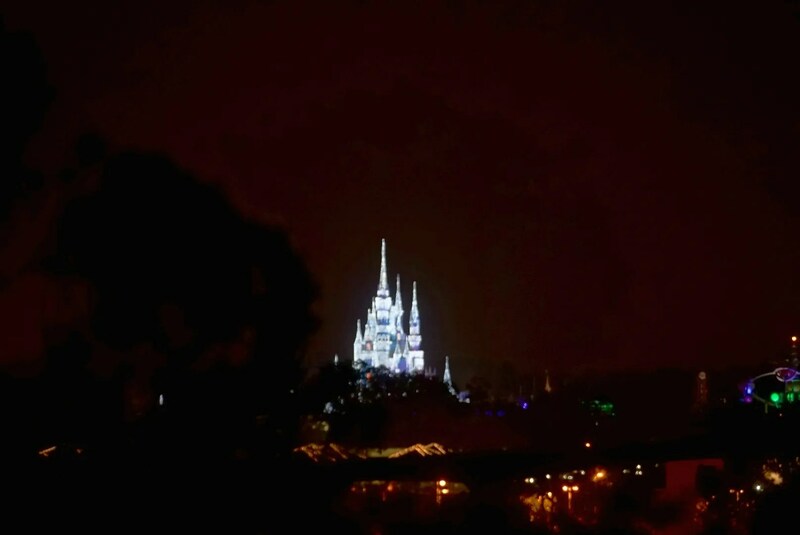 My son had watched WISHES from our balcony the night before. 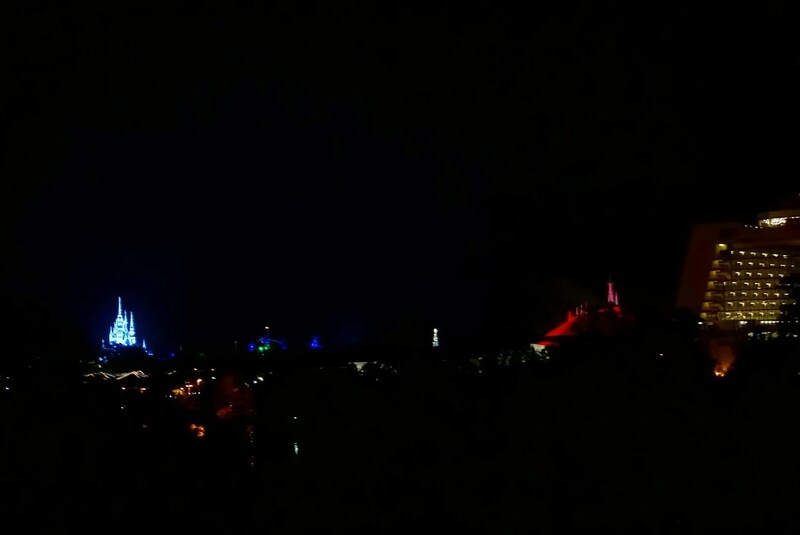 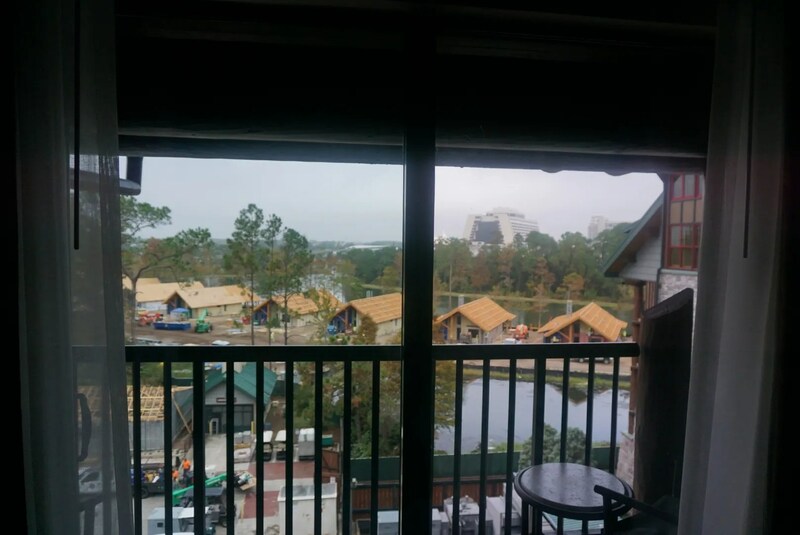 So I had had this same view twice now with a Standard View room (aka least expensive). 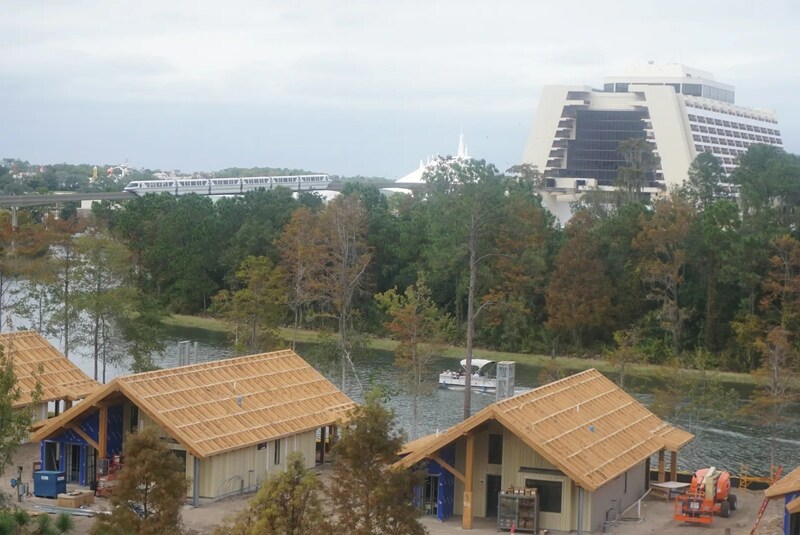 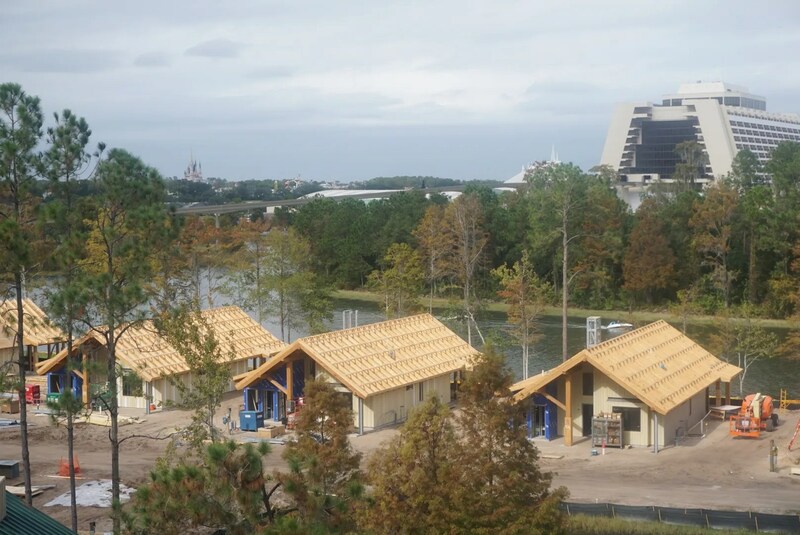 But I’m thinking that once the cabin construction is finished, the rooms on this side of the lodge will be bumped up to a Magic Kingdom view category at a greater than standard view price. 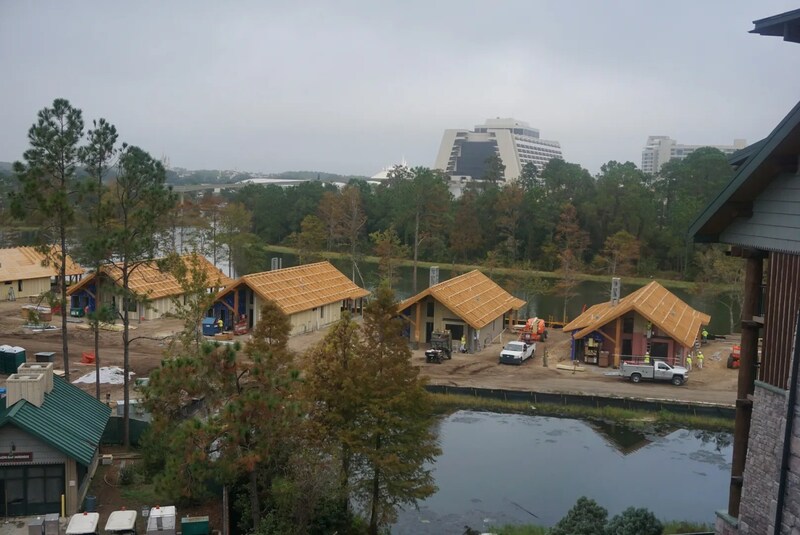 With the Copper Creek cabins set to open in July, I guess we will find out soon.